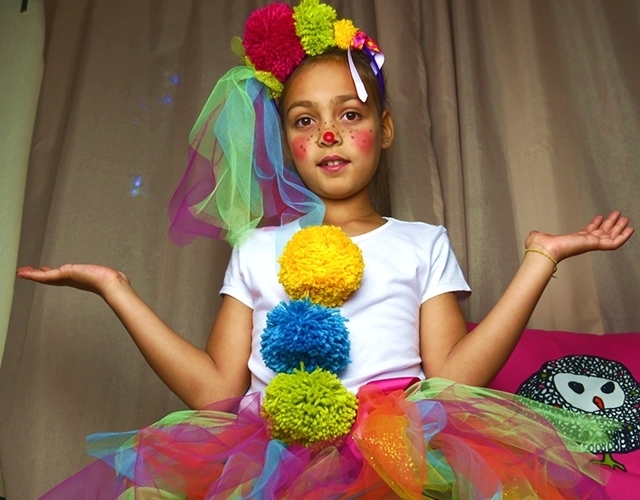 Be imaginative and create a fancy dress for girls with just few and cheap material you can find in your house. How to make this adorable fancy costume and his accessories? 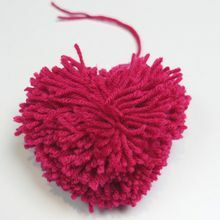 POMPOMS: First of all make 4 big pompoms and 2 or 3 small tassels using different colors of wool. Learn how to make pompoms watching a video. Sew 3 of your big pompoms on the front part of your T-shirt to symbolise buttons. HEADBAND: Then, take the headband and fix the last pompom and tassels nicely. 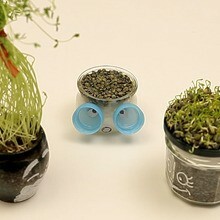 You can add some drops of glue and also fix them with tape or thread. Add a piece of tulle. 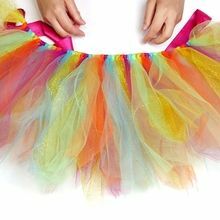 SKIRT: Determine the length of the skirt you prefer using a tulle ribbon and then double this length. Cut as much tulle ribbons as needed using the same length. Afterwards, double the tulle ribbons and fix them along the silk ribbon belt. Finally try the t-shirt and leggins on, tie the belt at waist, put the headband, and add some make up on your face. You're done.